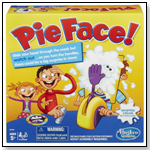 ODDLY OBVIOUS is the wild new party game where all the answers are IN YOUR FACE! It’s an OPEN BOOK TEST!! We give you the clues… WE GIVE YOU THE ANSWERS! You just be the first to identify the oddly obvious connection to win! Can you see how Cobb is related to the clue Inner Ear; or that a Toupee’ is Top Secret ? 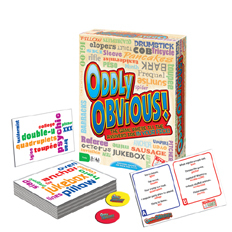 ODDLY OBVIOUS is the game that gets you thinking sideways!